Chris Wright of Wrightworks on many projects. It is a pleasure to write a letter of reference for him. good but does not function or will not stand up to long-term use by the owner. His knowledge of construction – encompassing the entire construction field from estimating to scheduling to client relations to industry trends – makes him an invaluable resource and has helped me to become a better practitioner and designer. 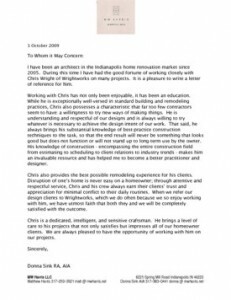 Chris also provides the best possible remodeling experience for his clients. Disruption of one’s home is never easy on a homeowner; through attentive and respectful service, Chris and his crew always earn their clients’ trust and appreciation for minimal conflict to their daily routines. When we refer our design clients to Wrightworks, which we do often because we so enjoy working with him, we have utmost faith that both they and we will be completely satisfied with the outcome. Chris is a dedicated, intelligent, and sensitive craftsman. He brings a level of care to his projects that not only satisfies but impresses all of our homeowner clients. We are always pleased to have the opportunity of working with him on our projects.